Update on Hydrogen XT, Inc. Many people have asked for additional information on Hydrogen XT Inc. since I originally posted this article. As a result, I decided to update this article with more information. I will also include more information on hydrogen vehicles and recent developments and announcements by various automakers. The momentum behind hydrogen seems to increase with each passing month. The sticking point is the lack of a refueling infrastructure to support vehicle deployment. Toyota says more fueling stations are the missing link. Hydrogen XT Inc. has the solution to the problem and will be rolling out at least twenty (20) hydrogen FCEV fueling stations in the next eighteen (18) months, if all goes according to plan. 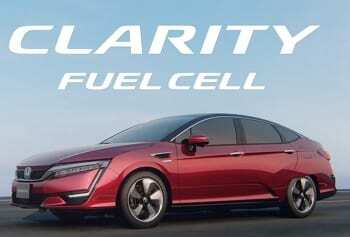 Honda is also delivering the first of their new FCEV, the improved Honda Clarity. Stay tuned for some exciting developments on Hydrogen XT, which I hope to post soon. What is Hydrogen XT Inc.? 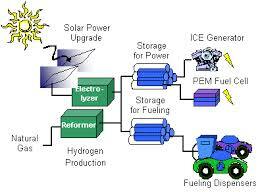 Hydrogen XT Inc. is a company that is dedicated to building infrastructure for the hydrogen economy. In particulat, building hydrogen fueling stations for Hydrogen Fuel Cell Electric Vehicles (HFCEV) such as the Hyundai Tuscon, Toyota Mirai and Honda Clarity. Hydrogen XT Inc. has developed a scalable, small physical-footprint, and modular hydrogen fueling station that using a steam methane reformer (SMR) transforms natural gas or biogas, small amounts of water and electricity into cost-competitive, dispensable hydrogen fuel on-site . All Hydrogen XT Inc. stations will use a proprietary mobile interface and reservation system that will provide the consumer with real-time station location service, a reservation system to ensure fuel is available upon arrival. In addition, Hydrogen XT will provide a secure transaction processing capability and constantly monitor the equipment for the operator. A technology patent for this design was awarded in February 2014. Hydrogen-XT, Inc. is currently in the process of installing a Proof of Concept HFCEV Fueling station in Southern California. Calfornia was chosen because that is the first location the automobile manufacturers are rolling out their HFCEV’s. After completion of the initial station in the first half of 2016, the company will use privately raised investment capital in combination with federal and state funding to deploy a network of hydrogen fueling stations throughout California and subsequently into the other states with Zero Emission Vehicle (ZEV) standards. In addition, the company will deliver infrastructure and hydrogen fueling services not just to retail customers, but by participating in corporate and public private partnerships (PPP)’s to commercial, public and municipal vehicle fleets as well. The market is enormous and Hydrogen XT Inc. intends to be a leader in the fuel infrastructure field as it transitions from a gasoline based fuel economy for vehicles to one based on hydrogen. CA is currently the only state with public owned FCeV’s on the road. Approximately 250 FCeV vehicles in operation. 1,500 to be released in 2015 with 15,000 in 2016. Less than 20 operating H2 fuel stations. Fuel is on a first come first served basis. Many times drivers will have to visit more than one station and / or suffer wait times of up to 8 hours for fuel due to insufficient supplies. Hydrogen-XT, Inc. is working hard to build the infrastructure to support the roll-out of the next-generation, zero-emission, hydrogen fuel cell vehicles across the United States. Hydrogen XT’s technology can help the automobile industry to exceed the mandated carbon emission reductions required by federal and state zero emission vehicle mandates ahead of the requited time frames. Since Hydrogen XT’s steam reformers can operate on biogas, they will not only enable consumers who fuel their HFCEV’s to reduce their emissions, but also offers a productive use for methane, a greenhouse gas that in the past has often been wasted (flared) or simply released into the atmosphere, significantly contributing to climate change. 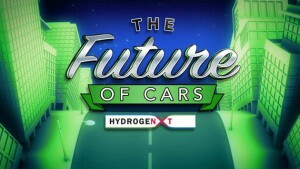 Check out Hydrogen XT Inc. on ABC News from the auto show. Click on the picture on the right to go to ABC News 13 in Houston and check out the videos featuring Hydrogen XT Inc. which they filmed in conjunction with the Los Angeles Auto Show as I recall. These videos are very informative as to the future of hydrogen vehicles. I hope that you have found this brief introduction to Hydrogen XT Inc. informative and useful. I believe this company has enormous potential and that is why I am an investor. Again, if you are interested, please contact them directly at ken.templeton@HydrogenXT.com. If you have any questions, please leave me a comment below or send me an email at Xin@FXTradingIncome.com. This entry was posted in Angel Investing and tagged Angel Investing, FXTradingIncome, Hydrogen Fuel Cell Electric Vehicles, Hydrogen Fueling Stations, Hydrogen XT Inc., Xin Zhang on January 29, 2016 by Xin Zhang.